The Large Golden Dragon, not an ordinary dragon by any means, looked about him, waiting for the next strike…The molten lava was bubbling still, building in it’s intensity, ready to serve stray lumps of red hot death to anyone or anything unwary enough to be in reach… His thick covering of golden scales protected him to a certain extent, but should he fall prey to the loose rocks underfoot and stagger into the waiting arms of the scarlet pool, he’d be finished…Even his powerful wings wouldn’t be able to lift him to safety quickly enough, and the poisonous fumes would make sure he’d breathe his last breath on this god forsaken rock.. Many ‘terms’ he had come here, trying to best the ‘Game of Death’ as his tribe called it. He had to fetch a cooling Orb, to prove himself capable of leading his Flight, his clan , the Golden Squad. Many younger dragons were vying for his title of Clan Leader, so he only had a short time before one of them would best him at this ‘game’.. Try as he might, the Orb was proving difficult to locate this time. He had been so sure this was the most likely area, at the edge of the second lava filled pool, but no, alas for him there was no trace…Where on Phases, was it?…Suddenly he caught sight of a shining beam of green light, the signal an Orb was being created, and he rose majestically from his position, beating his mighty wings to finally hover over the source of the beam. No way could he land here, the Orb sat there on a tall, thin pinnacle of newly formed rock,, so near yet so far. Almost calling to him to take the chance of life or death, without thought, just to see if the pool would let him be… He was wise though, wise in the ways of this trap. He pulled out one of his loosest golden scales and dropped it down, far down to the waiting surly red pool, not at all surprised to see a missile of death hit the Scale before it could touch down, it sizzled for a millisecond, burst into flame, then was no more. Gone forever, a warning, should he need it, of the fate that would be his, should he be stupid enough to try a straight attack.. 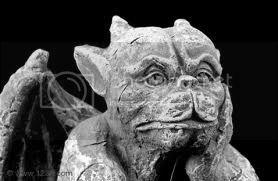 He hovered another minute more, thinking quickly, searching with his wise old eyes for a claw hold, anything that would help him in his task, and suddenly an idea formed , would it work though?… there was Only one way to find out. 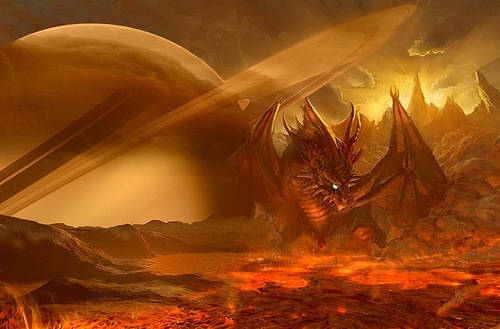 Landing safely but quickly, he set about prying loose another golden scale, a larger one this time, and finally, tugging it free with a painful jerk, he positioned himself as near as he dared to the side of the bubbling Lava Pool. Holding his head as far back as possible, he suddenly threw the scale with all his might at the base of the Orb, before the golden missile could catch fire and disintegrate it hit the target and the Orb was knocked from it’s tantalising perch, and he was ready, surging upwards with a couple of beats of his wings, he was onto the target within seconds, picking up the prize safely in his claws, he’d flown a few metres hence before the Lava Pool even had a chance to respond. Hurriedly, before the Orb was able to cool forever, he attached it to the Golden Chain of Leadership round his neck, where It joined it’s fellows, twenty nine in all… Finally he raised his crested head high, opened his golden shining wings wide and bellowed out his triumphant call… His Flight had a Leader for another Term, it was safe in his claws… Wisdom had prevailed…and yes, he was Wisdom, The Flight Leader of the Golden Squad!!! Ouch! (Pulling out scales.) But a good story.